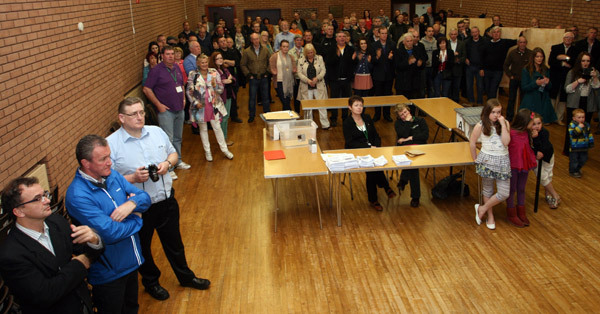 THE GREAT EFFORT by the people of South Armagh and North Louth in organising the first-ever ‘People’s Referendum on Irish Unity’ paid off on Saturday 25 May when over a thousand people went out to cast their votes. The result saw 92% agreeing that partition should be removed and the country reunited. When I arrived in Crossmaglen on Saturday afternoon, The Square of the small South Armagh town was busy with the efforts of the campaign committee as they came and went, advising people and encouraging others to use their votes. 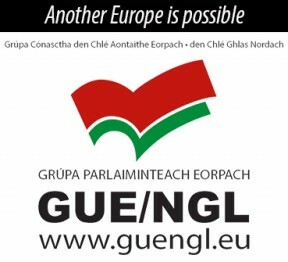 In the end, their efforts were rewarded with a resounding vote in favour of unity. Although dismissed by unionists and ignored by most of the mainstream media (even though many polling companies base their surveys on a thousand people), The People’s Referendum was welcomed by many as a sounding board for those who believe that a united Ireland is the best option for all the people of the country. Certainly the 42% of voters of the Crossmaglen electoral ward and their counterparts in Creggan Upper on the Louth side of the Border expressed their view that an end to partition is the best way forward for freedom, peace and – particularly in this time of austerity – economic development. The election itself was run to the highest of standards with Michael Halpenny, a former legal officer with the country’s largest trade union, SIPTU, in place as Presiding Officer. 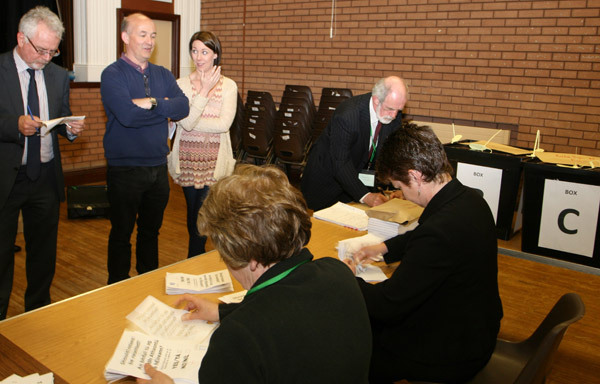 He and his team ensured the poll was conducted to the same level of scrutiny as any official election and applied rigorous standards during the count as it took place in the Crossmaglen Community Centre. Also on hand as an international observer was Catalan MP Alfred Bosch, a spokesperson for the Republican Left of Catalonia (ERC), and himself the driving force behind a similar people’s poll in Catalonia. The Catalan people are planning their own referendum for freedom, to be held in 2014 although the Spanish Government is resisting the move. 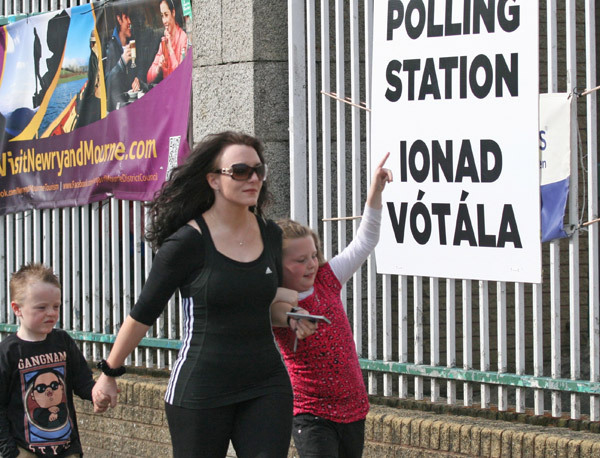 An Phoblacht also spoke to voters as they left the polling station. Many of them expressed the view that partition and Britain’s control of the North was a block on Irish nationhood and that the Southern state does not represent all the people of the country despite all the major Dáil parties claiming to be in favour of a united Ireland. As well as focusing on that political view, though, people also told us that the reality of life for people living in Border communities was complicated by the artificial division that severed two thirds of Ulster from the rest of Ireland. Every aspect of their lives – economic, cultural and social – is affected by the Border. As the polls closed and people began to converge on the community centre to get the result it was clear that the general mood among those who organised the initiative was that their efforts were not in vain. “Even if the result was largely predictable, the fact that people are debating the issue and not everyone agrees that unity is the best option shows there is a high degree of political maturity about. “That people were confident enough to vote ‘No’ adds to the integrity of the poll and the campaign. 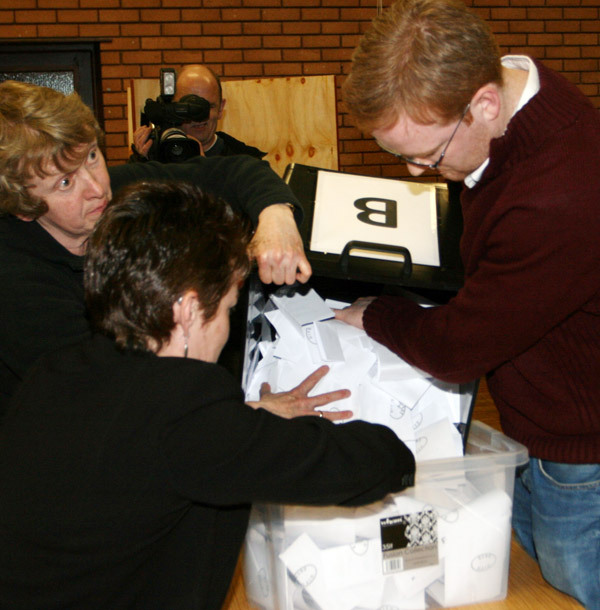 “It will give momentum to the wider discussion around the issue of a Border poll.